Iron Man has gone through so many freakin' armors that I really shouldn't be excited about this anymore. They're all metal and they almost all have the same color scheme and little blue glowy center, but this one somehow has got me interested. 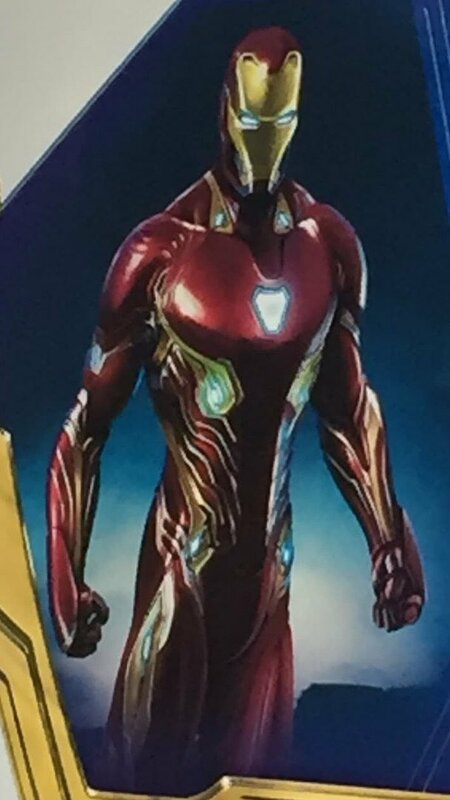 It's definitely a bit more sleek than the usual Iron Man outfit we're used to. It's based on the Armor 51 a.k.a. Model Prime look. In the comics, it can change shape and color and is built using nanotech. The coolest part is probably the little wing boosters and transforming hand. It's a Mega-Buster. It opens up and shoots a giant blue laser ball thingy. These new images are so awesome. It makes me wanna be Iron Man. I can't wait to see how it works in the film and how it will be utilized. Check out the images below, alongside some new images of Thor, Thanos, and Spider-Man. Also, the image above is the comic book version of the armor, below is the concept art from the film. CAPTAIN AMERICA: CIVIL WAR - Art for Iron Man's "Bleeding Edge Armor"